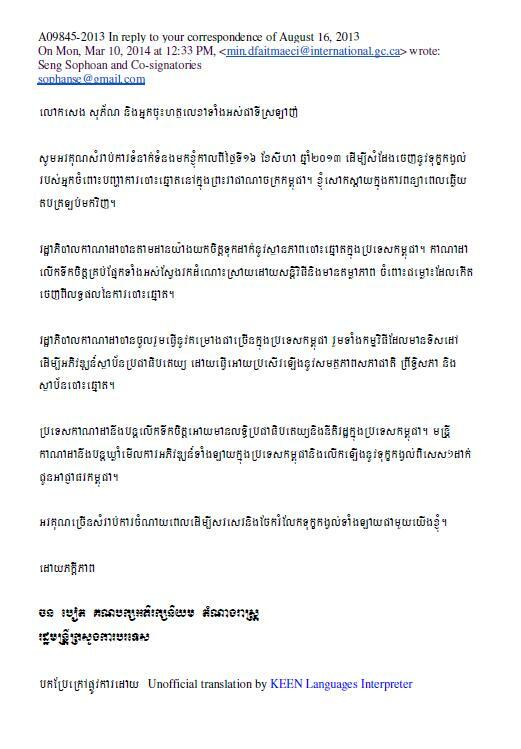 Thank you for your correspondence of August 16, 2013, expressing your concerns regarding the elections in the Kingdom of Cambodia. I regret the delay in replying to you. 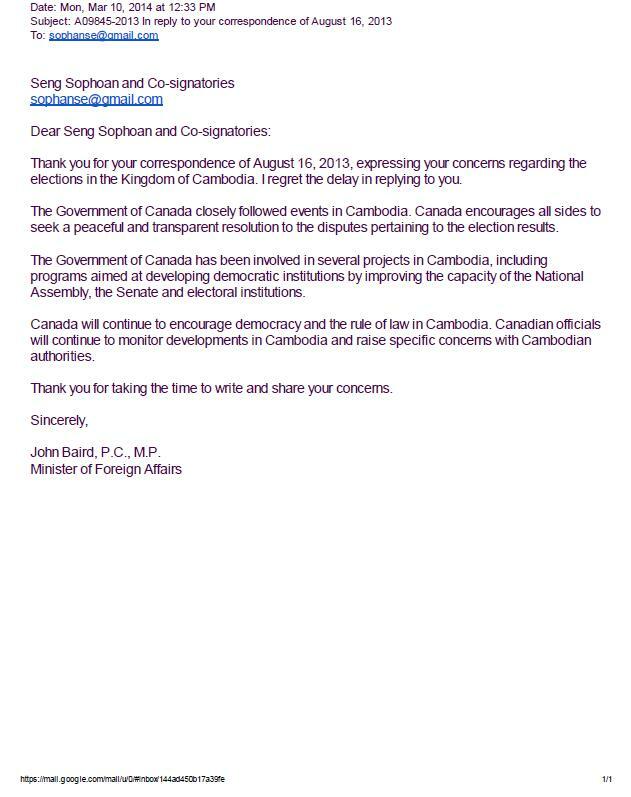 The Government of Canada closely followed events in Cambodia. Canada encourages all sides to seek a peaceful and transparent resolution to the disputes pertaining to the election results. 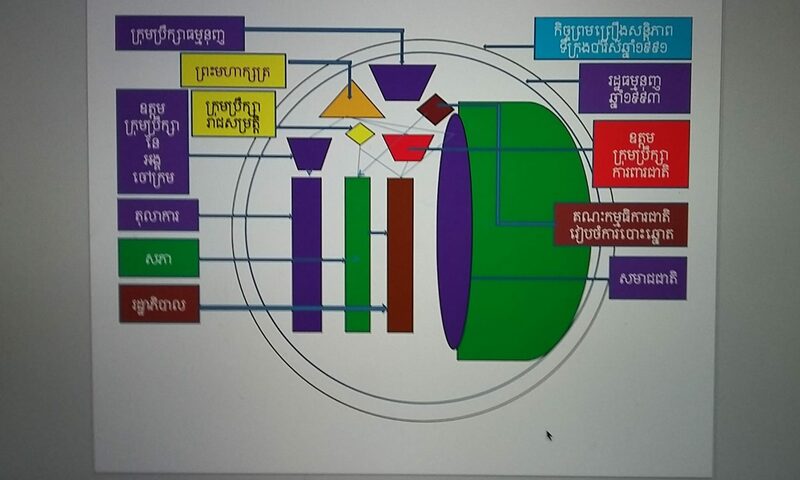 The Government of Canada has been involved in several projects in Cambodia, including programs aimed at developing democratic institutions by improving the capacity of the National Assembly, the Senate and electoral institutions. 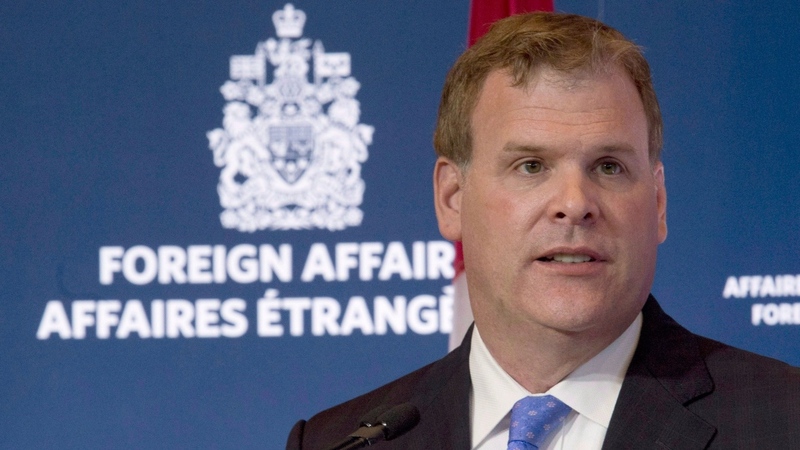 Canada will continue to encourage democracy and the rule of law in Cambodia. Canadian officials will continue to monitor developments in Cambodia and raise specific concerns with Cambodian authorities. Next PostNext What are S4 meaningful for you to develop leadership?